I feel some fire in the atmosphere. His presence, I sense so much out here. The trumpets, they sounding can you hear? The world so round as a sphere yet as big as it looks, He trips in seconds round the exosphere. Such a personality one must adhere. The radiance emanating off His face is of great power and glory hitting surfaces everywhere. There be singing and merry making coupled with a wail of despair all around the biosphere. No jokes, it is either you are being caught up in the air or you going nowhere. 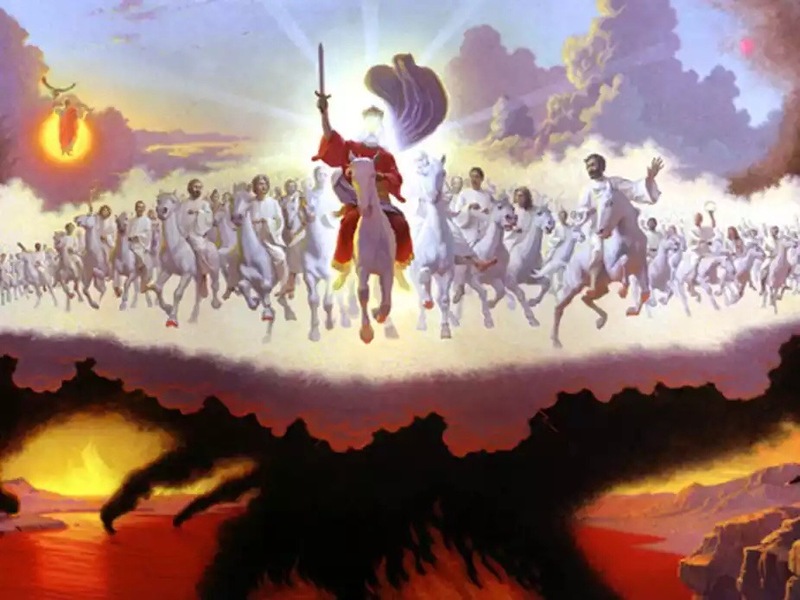 Out of the open heavens appeared a white horse, whose rider is called Faithful and True everywhere. His eyes are like blazing fire and His beautiful head wore numerous crowns, and out of his mouth comes a sharp sword with which to strike down the nations here. Are we ready to receive Him yet?? My greatest desire that all men anxiously await the coming of our King, as i am. Good reminder dear, God bless you. Reblogged this on elynjay1's Blog. May God have mercy on us so we can be uplifted. Nice one to remind us.